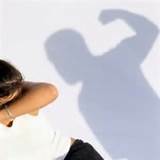 Although there are many resources for domestic violence victims, change needs to happen with the abuser. Why do batterers abuse? Some factors related to abuse may be/but not always, associated with the abusers experiences. One of the biggest misconceptions is that the batterer is "out of control!" The batterer is not out of control but is fully in control and can constantly change their demands. Abusive behavior is a socially supported behavior, taught through observation and experience. Domestic violence is a choice. Recognizing behaviors or characteristics of batterers is the first start to changing the behaviors. If you find yourself exhibiting any, some or all of these behaviors, get help. Any of these behaviors are not healthy and will cause you to have unhealthy relationships. Above are just some of the behaviors that can be identified and changed through interventions and education. It is your choice to decide to behave differently and if your wanting help to do so, there are people who are there to help you. You can call us at 660-269-8111 and we can get you help. There are a variety of services for batterers in Missouri. Call for details. You can also go to www.mocadsv.org for further information. Also, the website below has information for other resources for batterers.